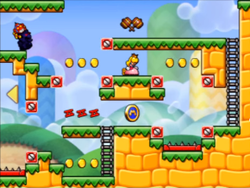 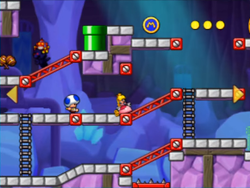 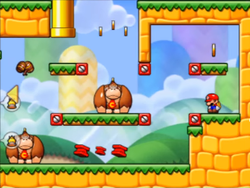 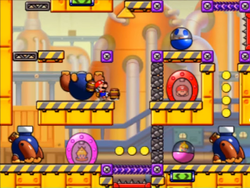 Bonus 1 is the first set of Bonus Levels in Mario vs. Donkey Kong: Tipping Stars, designed to be more intricate and challenging than the main levels. 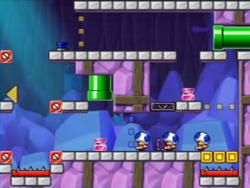 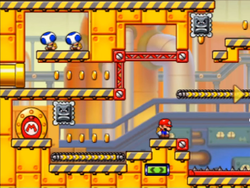 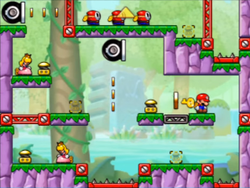 It is composed of eight levels, each pair of levels being set in the first four worlds of the game: Rolling Hills, Jumpy Jungle, Runaway Warehouse and Crumbling Cavern. 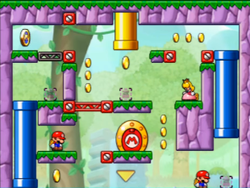 This page was last edited on July 1, 2018, at 11:26.